Get the ultimate peace of mind knowing that your investment is well protected. 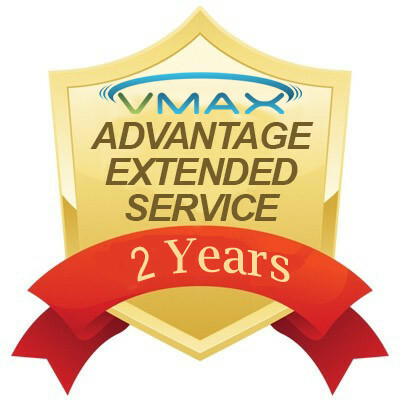 You will get extended service and support from Vmax Fitness with the Vmax Advantage Service Plan. Plus, if unused, you get the value of the warranty back in credit for use toward any Vmax accessories or machines. All warranties will be shipped by Priority Mail where available on shipments under 20 lbs for the entire duration of the entire warranty term from the arrival date of your Vmax vibration machine. This will ensure a minimal downtime to get your machine up and running again. Email our helpful team to get assistance with everything from machine operation to work out ideas. All inquiries are answered within 4 business hours. Skip to the front of the line with priority phone support. Our dedicated team will address all your questions or concerns as late as midnight. We extend our 2-year residential warranty by an additional 2 years to cover all parts and shipping costs necessary for any repairs. The Value Back guarantee is our money-back promise. If you purchased the plan but did not make a claim during the term of your warranty, the service plan purchase price that you paid is entitled to a merchandise credit towards any new Vmax machines or accessories. If you make this redemption during the service plan period, you will be cancelling the existing plan and converting the plan value to merchandise credit toward a new machine. The existing plan will then be null and void. * You can purchase the Vmax Advantage Plan within 30 days for any Vmax machines purchased through our website or authorized resellers. Additionally, get an instant 50% off when you bundle this with any machines purchased directly through this website online or via telephone at 1-800-910-8629. We’ll include a comfort pad with your plan. You can readily use the comfort pad on the vibration platform to alleviate feet fatigue or for sitting exercises. The free bonus mat will expand the number of exercises you can perform on the platform and in greater comfort.